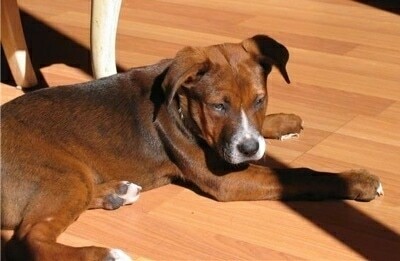 "This is a picture of my dog Dungy at six months old and the best dog I could ever have hoped for. We adopted him from the shelter and it was love at first sight. We have had him for almost two months now and he is part of our family. He gets along with other dogs and people very well. 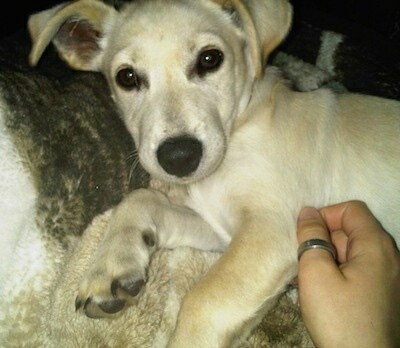 He is a Shar Pei / Jack Russell mix, and I think he is adorable!" The Rus-A-Pei is not a purebred dog. 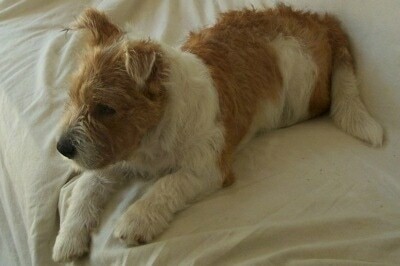 It is a cross between the Jack Russell Terrier or Parson Russell Terrier and the Chinese Shar Pei. The best way to determine the temperament of a mixed breed is to look up all breeds in the cross and know you can get any combination of any of the characteristics found in either breed. Not all of these designer hybrid dogs being bred are 50% purebred to 50% purebred. It is very common for breeders to breed multi-generation crosses. "This is my Rus-A-Pei puppy Meeka. 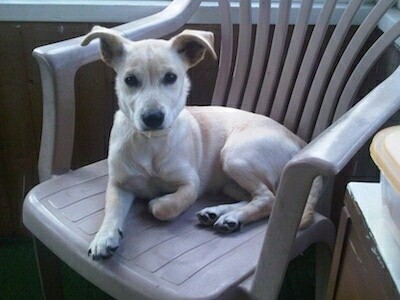 Her father was a Parson Russell Terrier and her mother was a Chinese Shar-Pei. She is four months old and we acquired her from a breeder. She is kind of a rusty brown color with white-tipped paws and a partial blaze on her nose. We absolutely love our Meeka. She is a great dog! She is registered with the ACHC." "This is Zoe. She is about 4 months old in this picture. She is one of the sweetest puppies ever. She has her hyper moments and is still in her puppy chewing stage, but she is still super sweet. Very cuddly. She is pretty timid of strangers but she warms up to them. We love Zoe and she has made a lovely addition to our family."